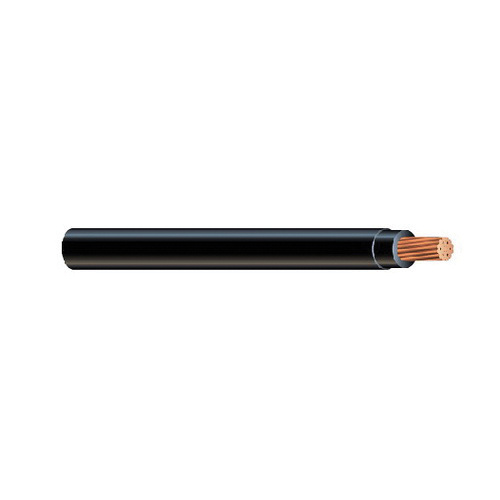 Southwire Simpull™ Coilpak™ 12-AWG Copper THHN cable in gray color, has 12-AWG copper conductor. The cable measuring 2000-ft, has an outside diameter of 102 mil. This cable is resistant to heat, moisture, gasoline and oil. The cable has 15-mil thick insulation and 4-mil thick jacket. Cable has a voltage rating of 600-Volts and current rating of 15-Amps. It is suitable for use in conduit, cable trays for services, feeders and branch circuits in commercial or industrial applications. The cable meets ASTM - B3, B8, B787, UL 83, 758, 1063, 1581, CSA C22.2 No. 75, NOM-ANCE, A-A-59544, NEMA WC-70, national electrical code, NFPA 70, CT, VW-1, RoHS and REACH standards.